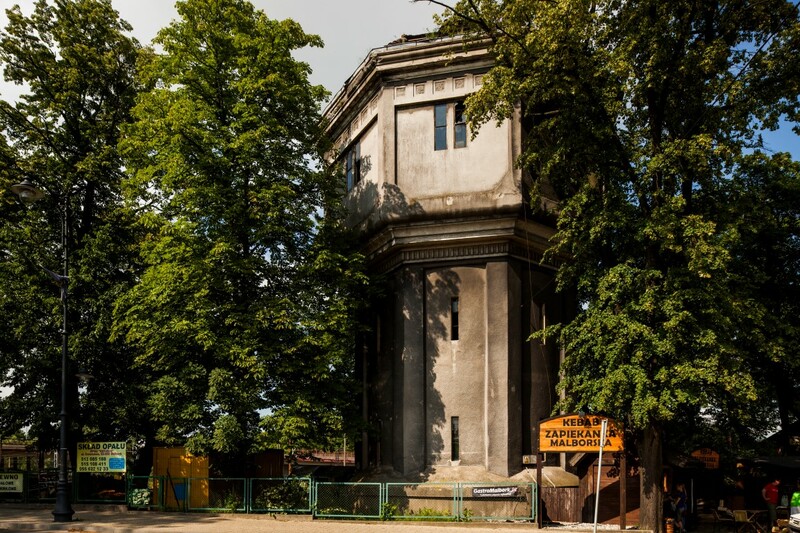 The water tower at Dworcowa Street in Malbork was erected in 1901 and has no distinctive architectural style. It is a free-standing structure located between Dworcowa Street and the tracks, in the vicinity of the bridge on the route to Elbląg and Malbork Główny train station. It is a brick, plastered tower built on an octagonal plane with pillars at the quoins.